Paper presented in the seminar, MARGINS by Sociology department at Christ University, Bangaluru. If you are to suffer, you should suffer in the interest of the country. – Jawaharlal Nehru, speaking to villagers who were to be displaced by the Hirakud Dam, 1948. Yes, Interest of the country or in better words “ Greater Common Good ” as normally called is the basic question in terms of development. Since India’s independence in 1947, there has been a surge of economic development activities in the form of massive infrastructure development projects such as the construction of dams for power and irrigation ports, the building of roads, urbanization, mining, building of thermal and nuclear power plants, resorts etc. Proponents of large projects argue that only these types of massive projects can improve India’s economy and the lives of millions of people. But the other side of this sort of development is that it has displaced more than many million people in the country. Generally development is the key word for all political parties and other parts of the State. Still in India any developmental project proposal in itself is raising many questions from the public, at least from a part of it. Why is it? Definition of the word development itself is highly contradictory especially from the viewpoint of the people who are denied their natural and fundamental rights to life. The concept of Development itself is based on the wrong concept evolved from the nomenclature of classifying the nation states as developed, developing and under developed. This defines the target and path of development. Can the developing countries reach the indices of development of a developed country? It is impossible physically, economically, politically etc. Still this target is set. Simultaneously, the state withdrew more and more from the service and social security fields as to provide space for the private capital in the decades of LPG policies. Tolls, user fees and private investments in education and health became the norm for development. The term development itself became a marker of this market-led capitalist growth and replaced the old-fashioned term progress. This shift in terms of reference involves a more radical shift in the political economic sphere of society. GDP, rates of growth and stock exchange became indicators of this change and capital became the basic factor of development and state ended up formulating policies according to the whims of capital. This global capital reached India and other third world countries aiming at our rich natural resources just like in the days of colonial rule. 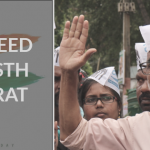 From 1990s onwards the onslaught of this capital aided by the state on the lives and livelihoods of the vast majority of people became the pivot of every people’s movement. Those resources that were deemed public till then went under the control of private capital leaving those dependent, estranged. The existing laws of environment, labour and land were irrelevant in the face of the new phenomena like the SEZs. The foundational violence of this process of development inflicted on the poorest of the poor by the capital and state together paved way for the people’s movements at the grassroots. Capital in the present sense is only finance capital. Investor is the person or firm who can mobilize finance capital. All the governments are competing to be more investor friendly. Hence the policy of development is more and more shifting to the capital side. But the truth is that development or growth is not limited by the finance capital but the natural resources. Hence the competition is to acquire more and more natural resources . But the people who are totally dependent on these natural resources are loosing their land, livelihood and life in this process. The poorest and most marginalized people are generally hit the hardest by displacement, most often without adequate compensation. Many displaced families have been displaced three or four times. “In India, 50 million people have been displaced in the last 50 years in the name of ‘national’ interest“. 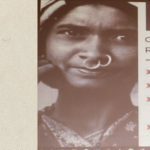 [Parshuram Ray, Development Induced Displacement in India, SARWATCH Vol. 2 No. 1 July 2000). When a project requires displacement of people what shall be the criteria’s to be taken care? First of all the best alternative to be considered is that with least displacement if not none. Because in places like Kerala where the population density is very high and the land cost is sky high , rehabilitation is very difficult. But in most cases the priority in deciding the alternative will be diffent. It may be to reduce the overall investment by the proponent or to protect certain land owned by influential people or firms etc. 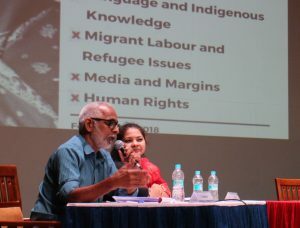 In most cases the land acquisition is the responsibility of the state and the investor’s interest will be protected to the maximum.
. “The millions of displaced people in India are nothing but refugees of an unacknowledged war.”(Arundhati Roy, The Greater Common Good, Frontline, June 4, 1999). This project in Kochi city and suburb was considered as a Dream project for the development of Cochin port which is largest in Kerala for the export of spices, seafood etc. As any other project in the era of LPG time the major argument for the project was to get FDI in the port development because of the lack of financial capacity of the state to upgrade the infrastructure and also to garner the technical support for the modernization of the port. International firm Dubai Port World was entrusted for the up gradation by investing about Rs. 5000crores in it. The existing port facilities will be transferred to the firm to begin with. The state has to develop the rail/ road facilities for the new terminal. Also reclamation of wetland for the project is also the responsibility of the state. It was propagated by the authorities that once this starts functioning Kochi will be growing in business and will be like Dubai or Singapore. Even the Hon. High Court had explained it like that in certain cases filed by the affected people. The project was started in 2005 . Now after the commissioning of the project in 2011 none of the project proponents are not available for any comments. The project was found financially unviable. It was predicted that tens of thousands of employment opportunities will be generated by this project. 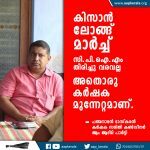 But in fact it had badly affected the decades old Kochi port facilities and Public sector Port Trust is in deep financial crisis and not able to pay salaries and pensions to their permanent staff. Hundreds of temporary / casual workers were retrenched earlier. Many functions like the dredging of the backwaters for the entry of mother ship to the new facilities are with the Port Trust and the income from the port is not sufficient to meet these expenses. The capital flow from the project proponent is marginal and it is accumulated from the Indian Public sector banks by pledging the land provided by the state on lease basis. This itself is illegal anyway. Also the environmental disaster to the coast due to the large scale dredging and reclamation is very high and affecting thousands of fisher people who are losing their land and livelihood. But for brevity this paper is limited only to the people who are officially displaced by the project . For providing Rail and Road connectivity the State had to acquire about 300 Hectors of land. 316 families and about 100 small establishments like shops were to be evicted. The families were evicted fro Moolampilly, Mulavukad, Kothad, Cheranallore, Vaduthala, Kalmassery, Manjummal and Edappilly.. Most of them are middle or lower middle class people who depend on small jobs or business for their livelihood. Since these people are highly distributed they were not united in their struggles. Most of them were local in the beginning. Local political leaders had given them some assurances regarding the compensation for the land. But nothing was on paper. When the actual land acquisition procedure started people started to realize the realities. The price for their land was mere paltry and it is not even one tenth of the market value in that locality. Kerala is a state with high population density even in village area and hence the stress on land is very high. Also most of the investments by the Gulf NRIs are on land and the price of land is very high. Since the price offered by the district authorities for the house and other amenities are also vey low. It was amply clear that they could not find any alternative residence in that locality. This is affecting many due the loss of livelihood if they are displaced far. Some are fisher people who had to stay in the coast. Many women are working as part time house maids and they will not get similar jobs in far off places. Also they will be separated from their relatives or friends who had offered some assistance in need. Many had emotional issues like leaving a home where their ancestors are buried. 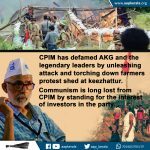 In places like Moolampilly in a panchayth bordering with Kochi City, people resisted the land acquisition and the state had demolished their houses with the support of a large police force. The violence against the people including women and children who resisted the demolition in the most non violent manner had caught the attention of media and public. May be for the first time in the history of Kerala, the issue of displacement came up to the so called mainstream. Many organizations including some political parties had supported their struggle. After 42 days of strong struggle the then Left government had come down to have a package of rehabilitation including land to all displaced families and rent upto 6 months after allotting habitable land with water, electricity and road facility. Also the value of demolished house to be calculated as new house (because you cannot construct an old house) , employment for at least one person from the displaced families. A high power monitoring committee was formed to follow up the process. But once the official procedure started the bottlenecks started. The approach of the district officials was not at all conducive. They are having the opinion that all these offers in the package was just philanthropic not their rights. Even the political leaders are not convinced that the displaced families have the right for rehabilitation. Two years passed without much progress. Finding land for rehabilitation was not progressing. Adamant attitude of the officials and disinterest of political leaders continued. Even payment of rent to the families was not regular. Getting accommodation for the families was quite difficult. Lot of hurdles like that can be explained. Two years passed without much progress. In 2011 there was a change in the government. The new Congress led UDF government had shown some interest in the beginning. They had cleared all the arrears of rent, solved some bureaucratic hurdles like the disputes in ownership etc. Some hope was generated among the families. But that also slowed down and finally stopped. Monthly meeting of the monitoring committee was not called. When the value for the land was released the income tax on it was recovered. Even after lot of effort many are yet to get it back. In 2016 again there was change in government. In last week ten years had gone after the demolition and displacement. Now what is the status? As the tenth anniversary of the incident that shook the collective conscience of Kerala society was observed on 6th Feb., around 268 of the 316 families are yet to be rehabilitated as they continue to languish either in rented houses or shacks. Seven sites were proposed for rehabilitation. Out of which 6 are filled land. As houses constructed on these lands ,at least on 3 sites , developing cracks and tilting sideways , more evictees are doubtful over constructing houses using their hard earned money. An inspection of two sites by the PWD found the soil to be loose and settlement of blackish slush beneth the top soil.. There were more reasons why evictees were unable to move into rehabilitation plots. Title deeds for their plots are non-transferable for 25 years and hence financial institutions are not lending against them. Also the government has not given any financial assistance for the construction of the house. The nominal compensation given ten years before is not at all reasonable. As their rehabilitation hung fire , 22 evictees died, either succumbing to disease or committing suicide. There are many ongoing projects which need large scale land acquisition like the NH, GAIL pipeline etc. Seeing the experience of these people , the affected people will resist the displacement. It will not be easy for the government in these projects. 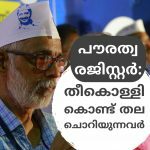 Will the AAP compete for the full seats in Kerala for next election? Politics is not that certain. 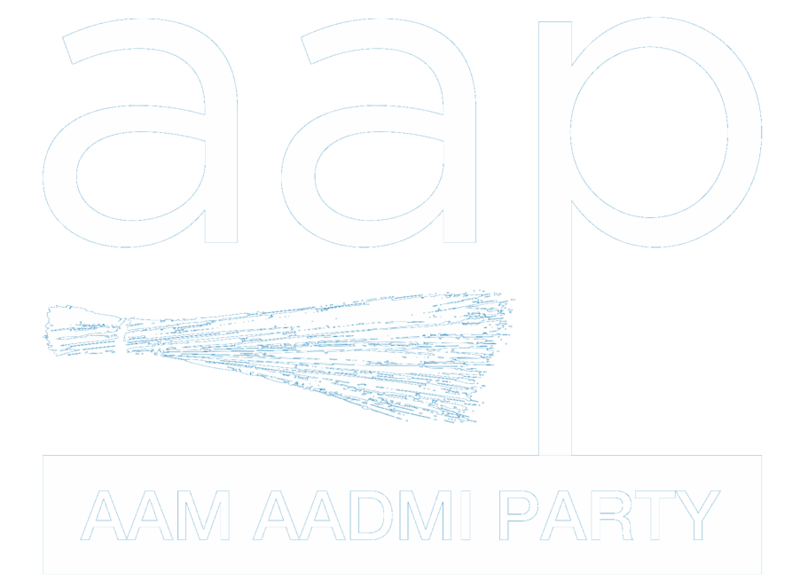 Definitely aam aadmi party want to bring a drastic change. number of seats depends on that particular time.